Thai Network Information Center Foundation (THNICF) is pleased to host the 1st BKNIX Peering Forum (BPF) in Bangkok, Thailand on 09 -10 May 2016. The event will bring together managers, engineers and business decision makers from both local and international ISPs, IXPs, CDNs, IDCs, Cloud and Interconnection Service Providers for two days of meetings, presentations, and networking events. This event will provide great opportunities for those who make peering and interconnection decisions for their network. T.C.C. Technology Co., Ltd. (TCCT) is a member of TCC Group, one of the largest conglomerates in Thailand. TCCT is the first certified SAP Hosting and SAP Cloud Partner in Thailand and also Microsoft certified partner, offering the best-in-class cloud-based solutions and data center services via the strong collaboration with various global partners. TCCT offers commercial managed hosting and infrastructure solutions designed to meet increasing demands from organization looking to outsource their information technology requirements. TCCT currently operates not only highly secured multiple world-class Enterprise Data Centers in downtown Bangkok and the city’s eastern suburbs, but also manages to cover Industrial and International Data Centers in Asia in 5 countries via its Asia Data Center Alliance (ADCA) network. Nokia is one of the world's largest telecommunications infrastructure company. Our operational headquarters is based in Finland. Nokia's Executive Board is headed by Rajeev Suri as President and Chief Executive Officer. INET is a service provider of ICT infrastructure for businesses and individuals who prefer to deploy ICT as a tool to strengthen the competitiveness of business. The company offers services ranging from full scope of network connectivity, consulting services, system design and integration, also data center with full equipment that meets customers’ various needs with international standard. BKNIX Peering Forum (BPF) 2016 is a two-day event being held during 9-10 May 2016 with free registration. Part I : Panel Discussions, Meetings and Seminars by distinguished speakers from multiple regions to deliver valuable talks and exchange experiences in IXP connection and peering, including the Internet service and today's new content services, in order to enhance perspectives and to build business opportunities for participants. Part II : Business Meeting and Discussion between Participants There will be open opportunities for the participants to meet and discuss business matters or possible cooperations through the Meeting Booking Management system, offered by the organizer. Meeting area is reserved for convenient meeting, which can be booked by yourself here. Special offer for main sponsors is a privilege to use a private meeting room, see sponsorship packages here. BKNIX encourages all BKNIX members to attend BGP Workshop, which is organized by intERLab and NSRC during 11 to 14 May 2016 at VIE Hotel Bangkok, with a privilege to waive the workshop registration fee for one participant. The participants will receive technical training in IXP connection and peering, as well as leaning and practicing potential problem analysis for appropriate and effective preventions. More info and registration are available here. Bob is the Network Architect of Akamai Technologies. He holds a Bachelor Degree in Computer Science from City University of Hong Kong. During his secondary school years, he worked as summer intern in a broadband ISP. This led to an interest in the internet and telecommunication industry. After graduation, Bob worked in local and global ISPs including PCCW, REACH and Telstra Global. Anahí Rebatta is a research analyst at TeleGeography. She specializes in international Internet traffic analysis, network infrastructure, and voice traffic analysis, with a focus on Latin American markets. Anahí holds a Master’s degree in Statistics from American University and a B.A. from Cal Poly Pomona. Kempei joined NTT in 1989 after getting bachelors degree from International Christian University, Tokyo. Since 1993, has devoted most of the time to global and internet business for NTT. Starting from participating in the buildout and operation of R&E network, moved on to creating NTT's first global internet backbone in 1997, and now being the head of engineering for internet services offered by NTT Communications. He also participated in some of the submarine cable projects, and was board member of PCLC, owner of PC-1 cable system. Widely regarded as the preeminent researcher on IPv4 exhaustion, he is routinely referenced by international agencies and is frequently quoted by the ICT media. Geoff has also presented at a number of global technical and government forums, including the OECD, ITU, ICANN, APEC, and the IETF. Prior to APNIC, Geoff was employed as the Chief Internet Scientist at Telstra and Technical Manager of the Australian Academic and Research Network (AARNET). He was a leading figure in the development of Australia’s academic and commercial Internet services. George Michaelson is currently APNIC's senior R&D scientist. Recently, he has been working on long-baseline DNS statistics, services logging, audit and analysis, and design and implementation of the Internet Number Resource Certification framework. George is a member of the BCS, and a founder member of the Australian chapter of the Internet Society. He participates regularly in IETF standardization meetings, and co-authors Request For Comment (RFC) documents, technical drafts, and conference and peer-review papers. George graduated from York University in 1982 with a BSc in Computer Science. His career in the United Kingdom and Australia has pursued research and development in computer science, networking, and systems administration. Jane Coffin is responsible for development strategy at the Internet Society, where her work focuses on coordination of collaborative strategies for expanding Internet infrastructure, access, and related capacities in emerging economies. Jane is based in Reston, United States. Now, he is the Secretary to the National Broadcasting and Telecommunication Commission Vice Chairman. As the regulator role, he is member of variety sub commission such as the sub commission of preparation for 2.1GHz Spectrum auction, the sub commission of preparation for 1800MHz Spectrum, the sub commission of mobile spectrum roadmap, the sub commission of framework of Thailand satellite licensing, etc..
Douglas Wilson has been working on the Internet since 1995. His responsibilities included Network Engineering, Architecture & Vendor management. Having worked at XO, Microsoft, Yahoo, etc. has exposed him to some of the largest networks. Ih his spare time, his hobbies are Amateur Radio, Guitar, & Yoga. Sheryl had various roles as a Network and Systems Administrator before joining APNIC. She started her career as a Technical Support Assistant while studying at the University of the Philippines. Sheryl later finished her degree in Computer Engineering and continued to work at the same university as a Network Engineer, where she managed the DILNET network backbone and wireless infrastructure. Prasong is currently the Vice President of the Telecommunication of Thailand Association (under Royal Patronage). He started his careers at the IBM Thailand and was the Executive Director of NTT Communications (Thailand) focusing on New Business Development / IP Wholesales for ISPs, ICPs and Mobile Operators / Carriers Relations & Government Relations / Data Centers / Submarine Cables etc. Operation Director of LEAP Solutions Asia Co., Ltd.
Bani Lara, a science research specialist at the Advanced Science and Technology Institute (ASTI), leads the network operations group of the Philippine Research Education and Government Information Network (PREGINET). He has thirteen years of working experience on Internet routing, IPv6 and multicast technologies on the Philippine's research and education network. He also takes care of the routing infrastructure of the Philippine Open Internet Exchange (PhOpenIX), the only neutral internet exchange in the country. His group also maintains the iGov project of the Department of Science and Technology. The iGov project aims to interconnect all government assets (offices, hospitals, schools, etc) to a single network for efficient delivery of government services. Railway Station : BTS Ratchathewi station (Exit No. 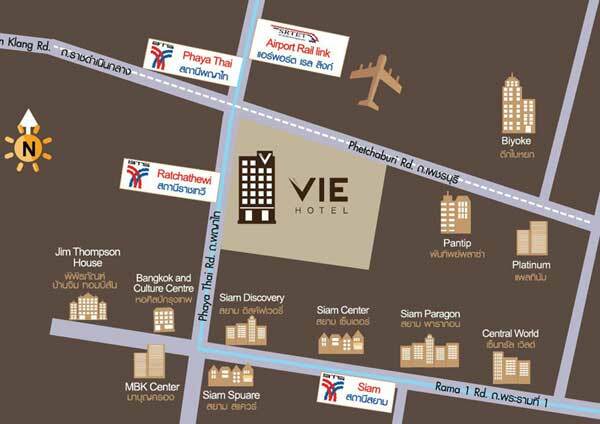 2), only 1 stop from Airport Rail Link PhayaThai Station – a convenient and fast way to & from Suvarnnabhumi Airport.